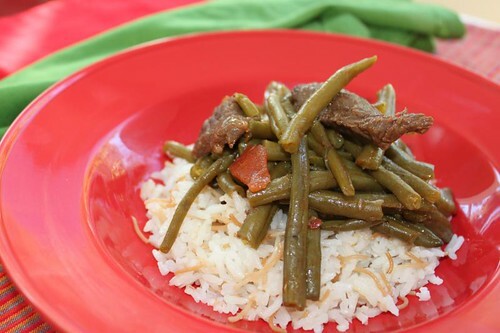 One of my favorite traditional Lebanese stews is Loubia. 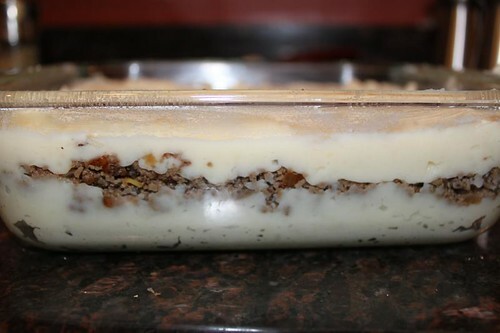 Its very healthy, very simple and easy to make. When you make it once you will want it again! 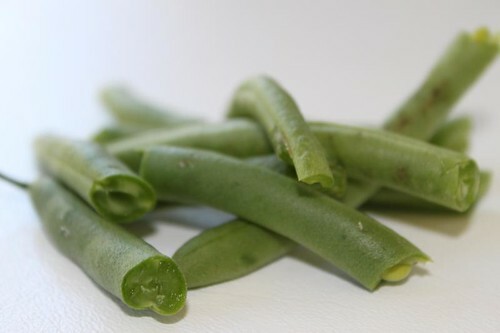 You can use frozen green beans, and to be honest, that saves aLOT of time getting the beans ready. 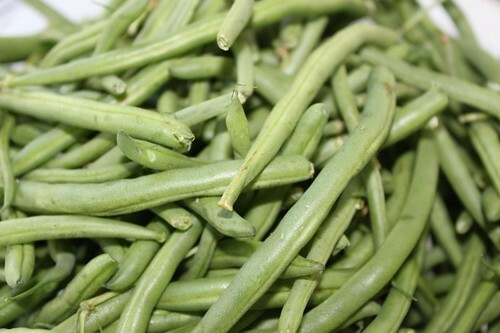 I love anything fresh so I usually get the beans ready the night before while watching TV. 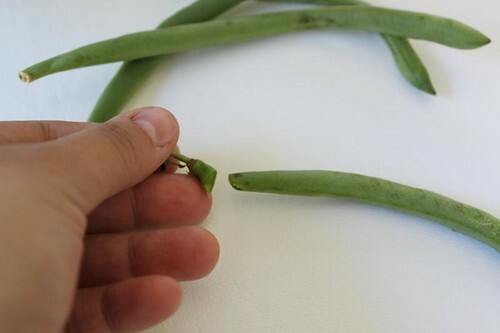 Just pinch off the stalk side of the bean Then snap them in half. 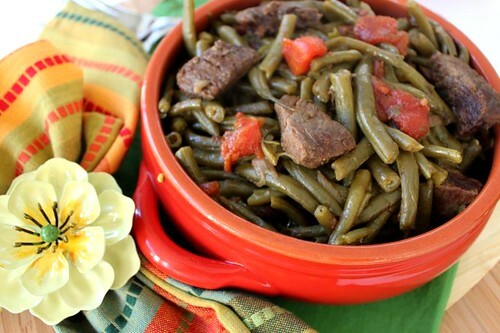 I love to prepare this in the pressure cooker, because it cooks in 15 min! 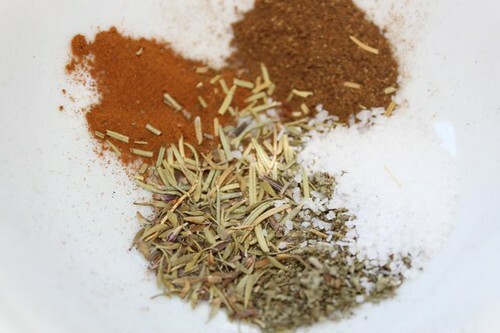 Add 1/4 teaspoon Cinnamon, 1/2 teaspoon 7 spice blend, 1/4 teaspoon sage, 1/4 teaspoon thyme. Salt. 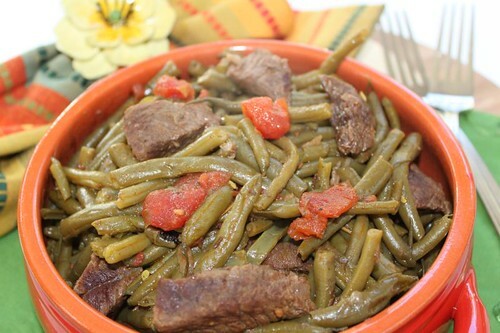 After browning the meat, add the green beans then add 1 can Diced Tomatoes (add the whole thing w the liquid). 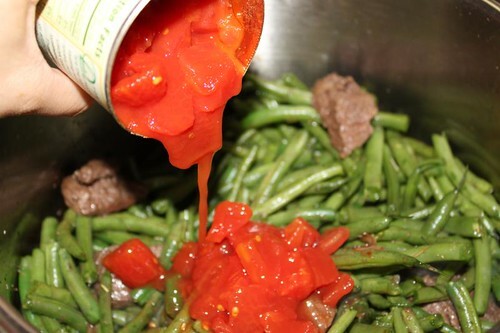 Alot of people add tomato sauce or paste, I never use the stuff. 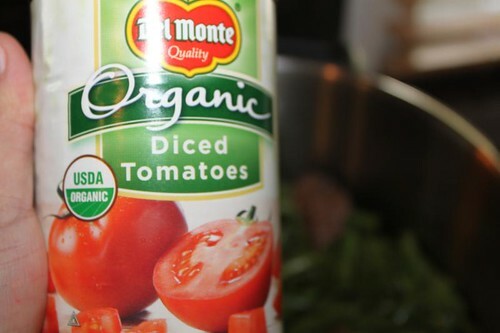 I always use these diced tomatoes. Keeps everything light and refreshing. Just close the lid on the pressure cooker. Set it to high for 2 min. 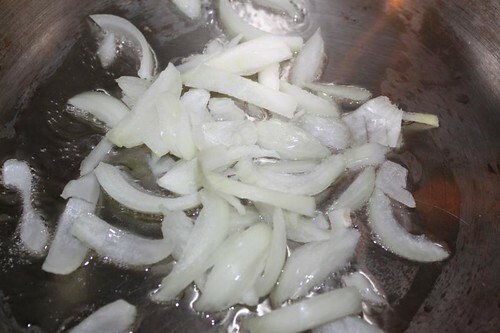 Once the pressure builds up, put it on low and cook for 15 min only! While the beans are cooking. 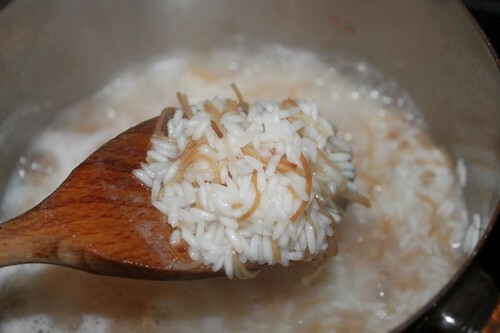 I add oil to a pot, brown some vermicelli, and add rice and water. 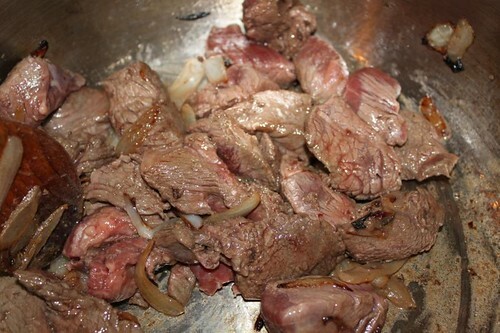 The meat is melt in your mouth no matter what cut it is because of the pressure cooker. 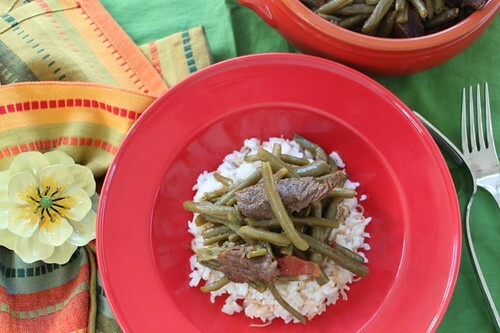 The natural juices of the beans come out and soak up in the rice beautifully. At home we always dine family style. 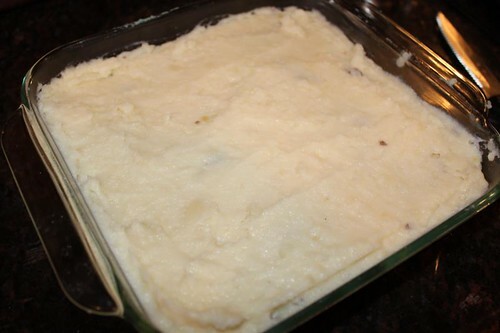 Have you ever had leftover baked, mashed or other potatoe. 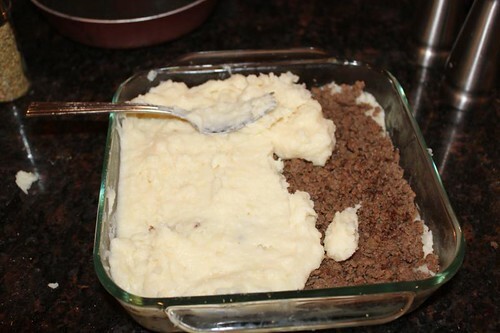 Well, this is a reason to make sure you do have leftovers. 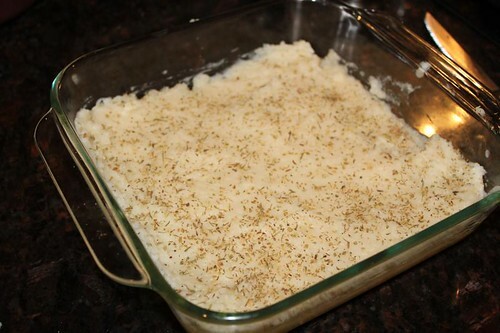 Some yummy easy potatoe pie for the next day! The beauty of this is you can add whatever you want into this, even top it off with marinara sauce at the end. Here is what you need. 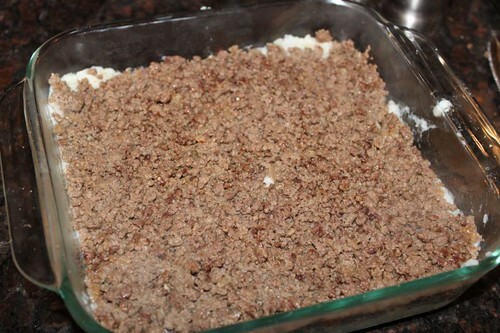 1) whatever leftover you have, it needs to be mashed and made thick and creamy. 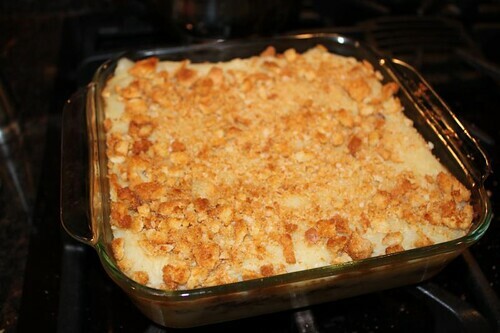 6) top with the crushed croutons about 10 min before taking it out of the oven. 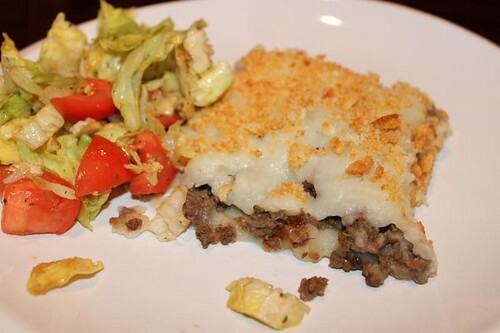 my hubby had never had this, and he loved it. My mum used to make it for me on those cold school days. And it always just makes me feel at home. What did your mum make for you that made u feel cozy and warm and puurrrfect?